Many people use MSSQL Express over Standard edition, because it is free. However, with MSSQL Express you lose backup functionality. The purpose of today's blog is tell you about a great backup utility designed for MSSQL Express, called SQL Backup & FTP. SQL Backup And FTP creates MS SQL Server database backups, Zips, Encrypts and sends these backups to a folder, FTP, Dropbox, Box, Google Drive, MS SkyDrive or Amazon S3. The utility runs on a flexible schedule and will send e-mail confirmations on job succesess or failures. It also makes full, differential or transaction log backups, runs custom scripts, backs up file folders, and allows for viewing of the results in a browser on the web and much more. It also can backup remote or hosted databases using what is called script backup. Simplicity: SQLBackupFTP is simple and easy to use - the whole "set it and forget it" job can be set up in a single form with no tabs in a matter of moments. Affordable / free: Functionality that is comparable can be found in software that starts at $200+. SQLBackupAndFTP allows you to use a free version (if you just need to schedule 1-2 databases), or upgrade to a Standard version for just $59 with unlimited SQL Server database backups. The professional version has an added AES encryption feature and FTP options for $69. Reliability: It's created by a US based software company that has years of experience in .NET and SQL Server. 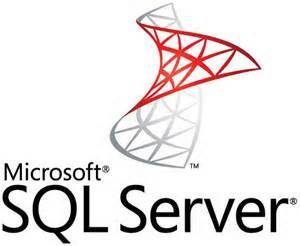 SQLBackupFTP can be used with any SQL Server database that has backups that are required to be sent daily to a remote FTP server. It is most useful for SQL Server Express 2005 and SQL Server Express 2008, since these versions don't have any function for backup. However, it can be used with any version of SQL Server. Does SQLBackupFTP provide the storage? No. You can decide where you want to store your backups, SQLBackupFTP is just the tool to allow this to happen. If you're not sure where to start, you can get a free account on Dropbox.com.